If you’re looking for a glamorous & elegant luxury urban getaway in Vancouver, look no further than Parq Vancouver. This downtown entertainment complex houses 2 luxury hotels, 8 restaurants and lounges, a spa, and casino. The JW Marriott features over 300 guest rooms, including luxury suites, and a two-floor villa. We checked into the Sky Suite, a 2-bedroom, 2.5 bathroom oasis on the 25th floor. On the 17th floor of Parq Vancouver, you’ll find an incredible roooftop aqua lounge and fully-equipped fitness centre with every machine and free weight you could need. There’s also the Spa by JW, the first of its brand in Canada. Vancouver is pretty chill as it is, but this spa takes things to the next level. With a beautiful massage room that overlooks BC Place, it’s the perfect spot to recharge. You’ll find two floors of all the slots and games you could expect at a casino, but without feeling like you’re in a tobacco-filled basement. Parq’s casino is bright and lively. 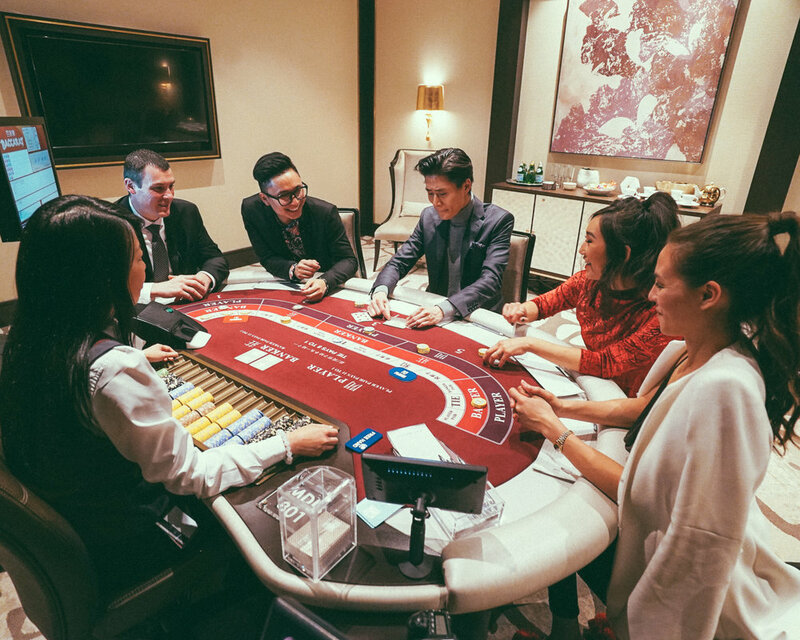 We were treated to a private baccarat lesson hosted in one of the VIP salons. High rollers enjoy an experience here with $500 minimums and $50,000 maximum bets. Do I even have that much in my bank account? If you’re feeling peckish, the private Executive Lounge has an abundance of snacks and drinks to get you through the day - with breakfast served in the morning hours and hors d’oeuvres in the evening. Even though there are a number of dining options on site and in the surrounding neighbourhood, has almost everything you could want. For dinner, we visited The Victor, an upscale steak and seafood restaurant located on the 6th floor of Parq. You’ll find premium drinks, inventive dishes, and unrivalled hospitality. It’s the perfect place to take a group of friends to finish up our night. So that was just a sample of some of the things there are to do in Parq Vancouver. If you’re looking for a luxurious weekend get away or a just a refined night out, get a group of friends together, and make your way down.